CarGurus has 37,237 nationwide Sorento listings starting at $1,900. The 2007 Kia Sorento falls somewhere between a compact and mid-size SUV. Larger than the Sportage, but with only two rows of seating, it lacks in cargo room compared to competitors, but compensates with emphasis on safety. In 2007, it gets a number of updates and improvements. The 2007 Sorento comes in base, LX, and EX trims in either rear-wheel drive or low range four-wheel drive. The LX features part-time four-wheel drive, while the EX has the option of Torque-on-Demand, which automatically distributes torque where needed and can be used on dry roads. The 2007 Sorento has been given a lot more power this year with a 3.8-liter, 262-hp V6 engine (up 70-hp from the previous year) and a towing capacity of up to 5,000 pounds. A new 5-speed automatic/manual sequential shifter is the only transmission choice. Other new additions this year are more airbags, standard ABS across the line, more rear legroom, updated steering wheel audio controls, a revised floor console and dash gauges, and restyling to the exterior. This includes Sportage-like grille and headlights, plus new taillights and side cladding. The LX offers power features, MP3 player, and keyless entry, and with the Sports Package it adds on 17-inch wheels, a spoiler, and fog lights. The top-line EX adds on heated mirrors and power seats, and its exclusive luxury package gives you leather seats and a sunroof. The boost in power is a definite boon for the 2007 Sorento, making it much more rugged and tough, without sacrificing its looks. Owners like that it looks fancier than it costs, as well as all the standard features. A harsh ride, poor gas mileage, and uncomfortable seats are some complaints. 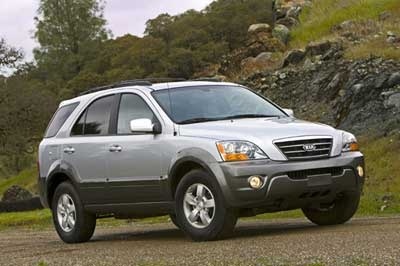 What's your take on the 2007 Kia Sorento? Users ranked 2007 Kia Sorento against other cars which they drove/owned. Each ranking was based on 9 categories. Here is the summary of top rankings. 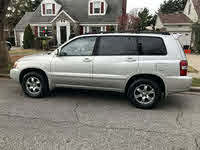 Have you driven a 2007 Kia Sorento? I have a 2007 Kia Sorento and my tail lights won't turn on. Brake/turn/flashers/backup lights all work. Replaced fuses and bulbs and still having issue. Any suggestions?